"Don't fall as prey, Learn to be King of the Jungle!!!" 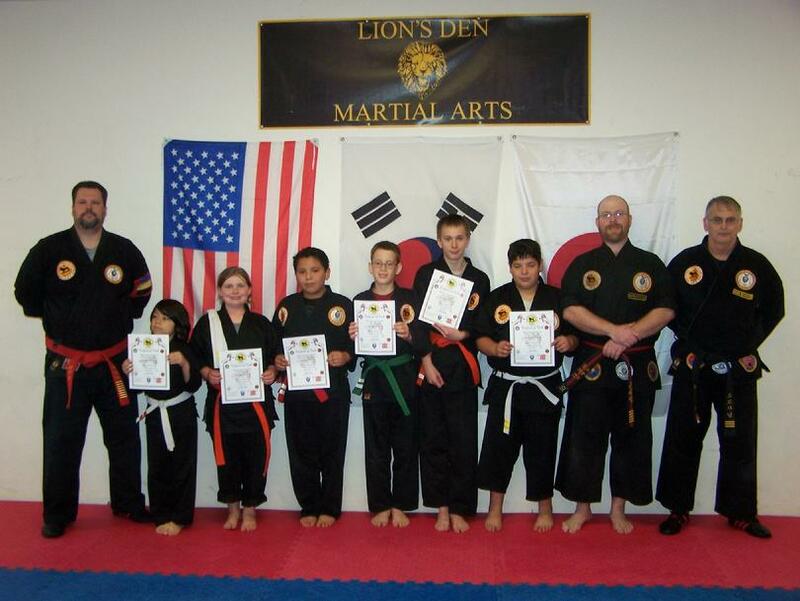 Congratulations to Jerrod Bullock on becoming our newest Junior Black Belt. 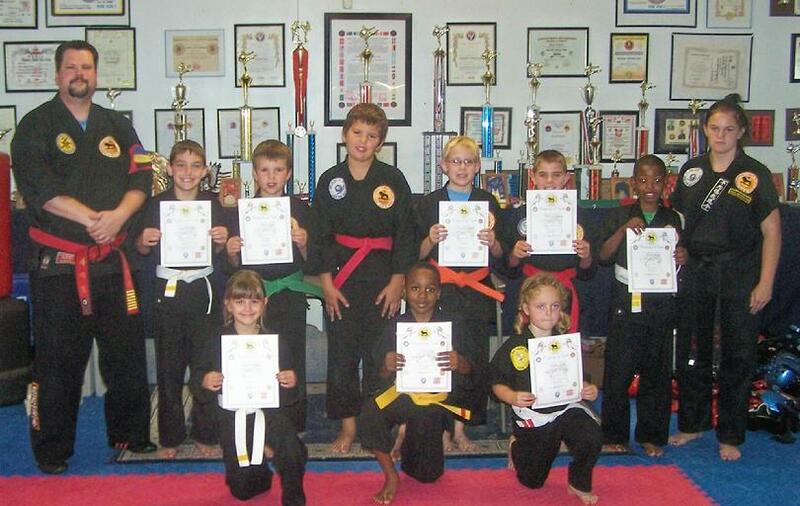 The August Karate Testing presented several new students being promoted and also one new Junior Blackbelt. 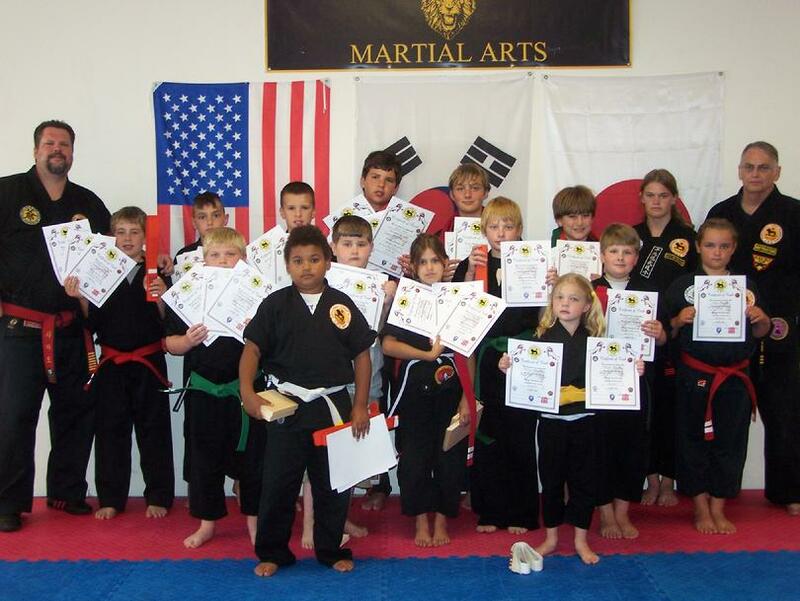 The new Junior Blackbelt promoted was Victor Hermida. 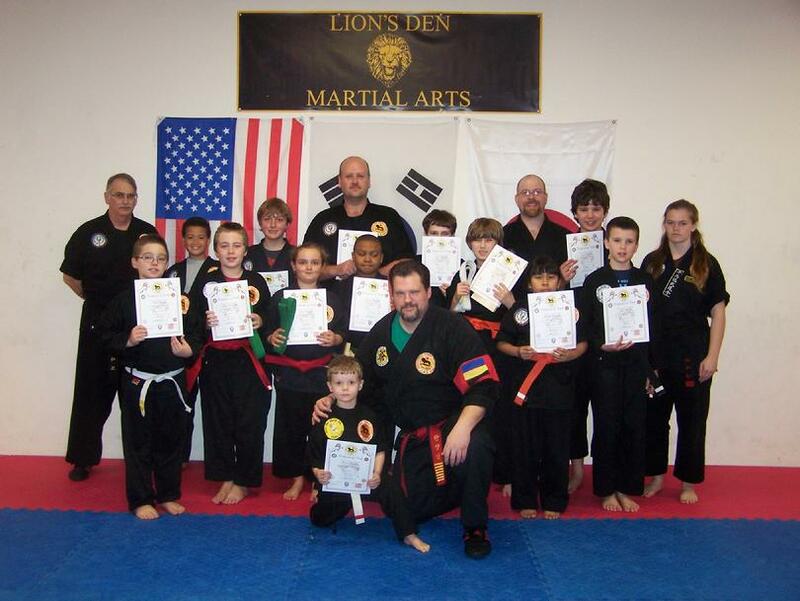 Everyone did very well on their test. 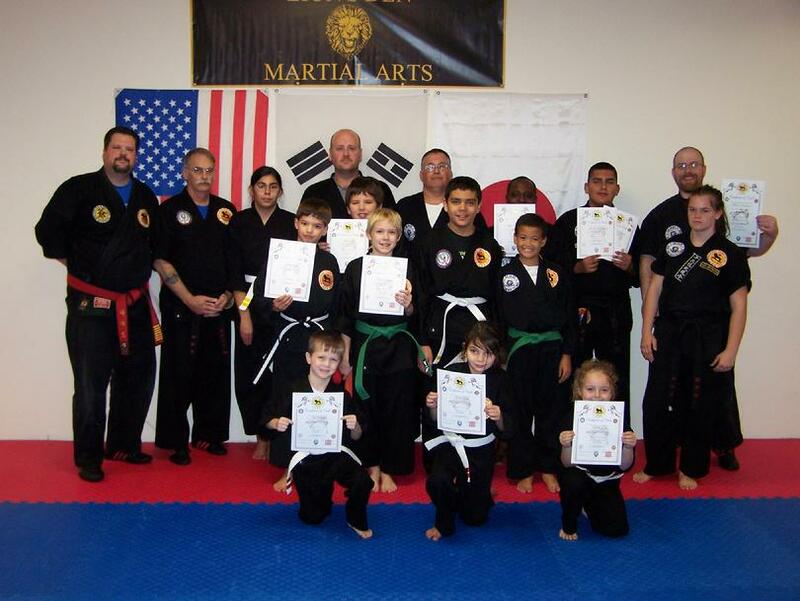 Congratulations to everyone on their promotions. 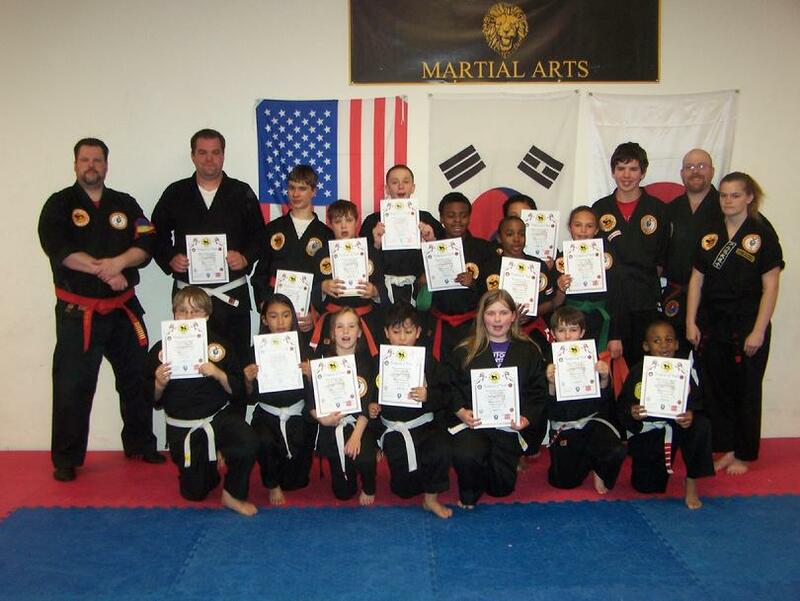 During our July 2012 Karate Testing, there were several students who were promoted to Black Belt. 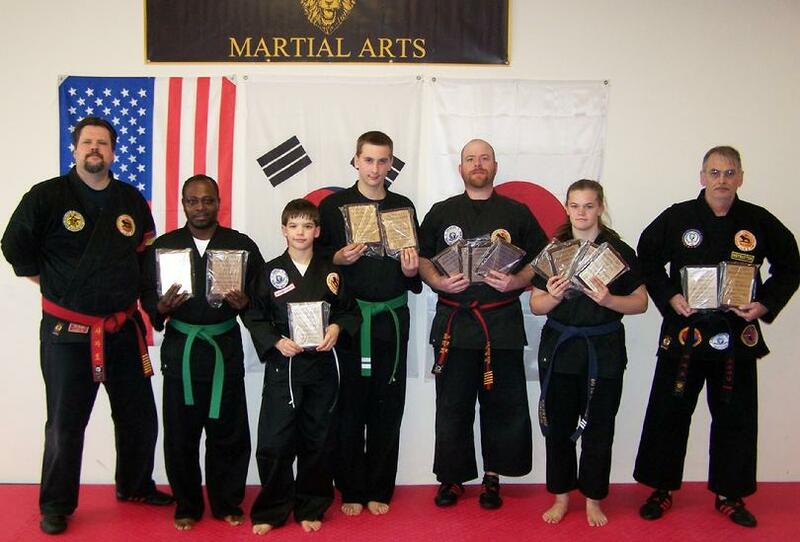 Among those were : Ed Wilbanks (1st Dan in SaJaDo), Joseph Wilbanks (1st Dan Jr. Blackbelt in SaJaDo), and Sarah Wilbanks (1st Dan Jr. Blackbelt in SaJaDo). 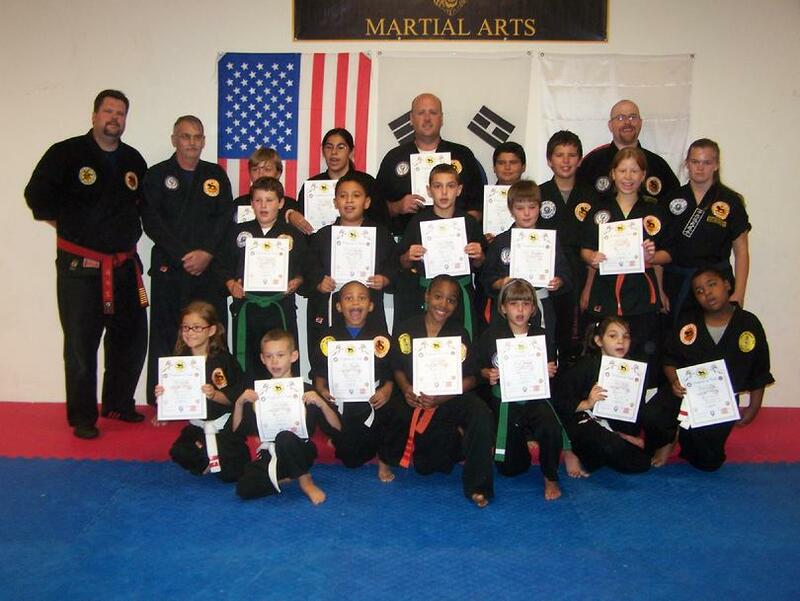 Congratulations to our newly appointed black belts and also to everyone else who was promoted to their next rank. 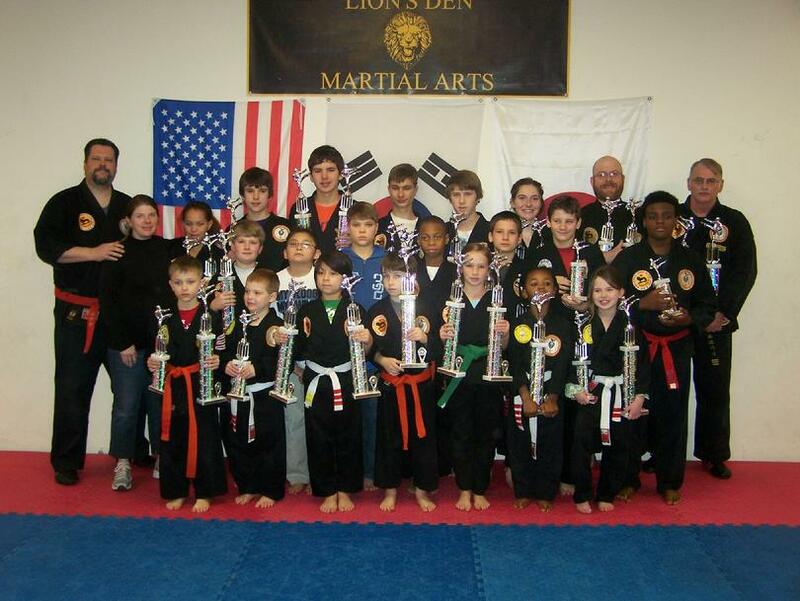 Recently there were several black belt testings. 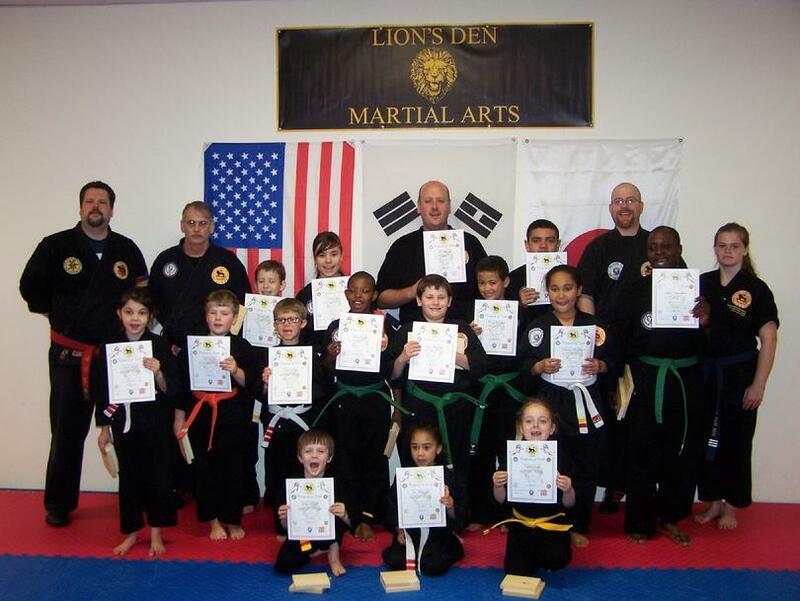 The following students and instructors were either newly appointed to 1st Dan or ranked to higher dan grade: Robert Morris (3rd Dan in SaJaDo), Justin Watts ( 2nd Dan Jr. Blackbelt in SaJaDo, 1st Dan in KoBuMooKiDo), Jake Watts ( EeDanBo in SaJaDo and 1st Dan in KoBuMooKiDo), and Charlie Averett (1st Dan Jr. Blackbelt in SaJaDo). 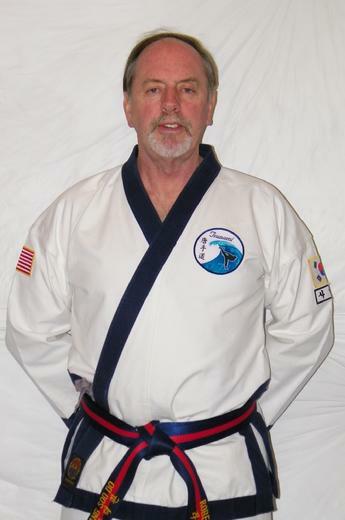 Chuck Hutchings recently was promoted to 1st Dan Blackbelt in Tang Soo Do. 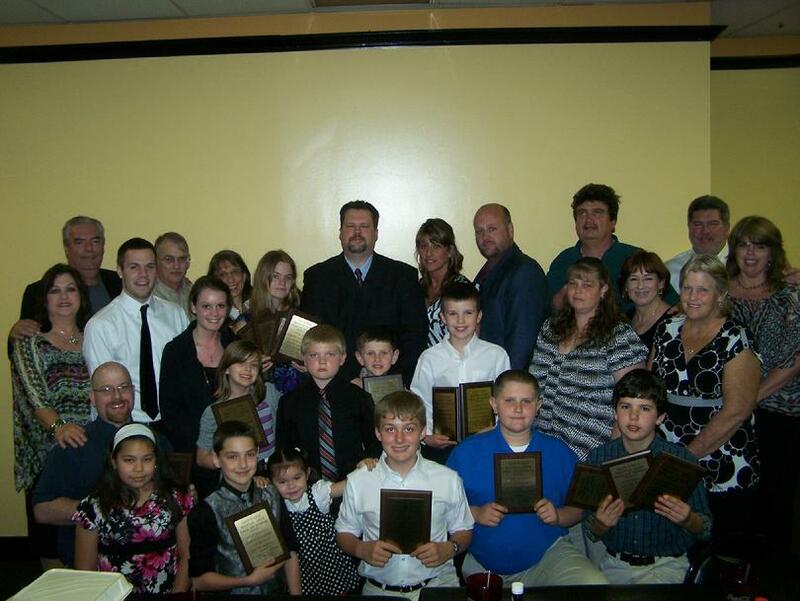 Chuck is from Yorba Linda, California. 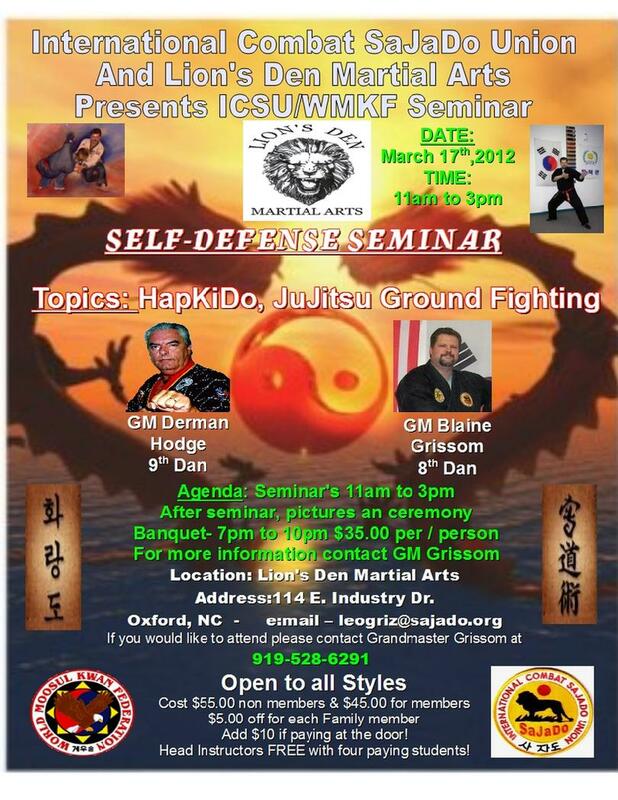 Chuck started out in Master Grissom's Home Study program and ranked to 1st Gup but decided to travel to North Carolina and train with Master Grissom to prepare for his 1st Dan testing. 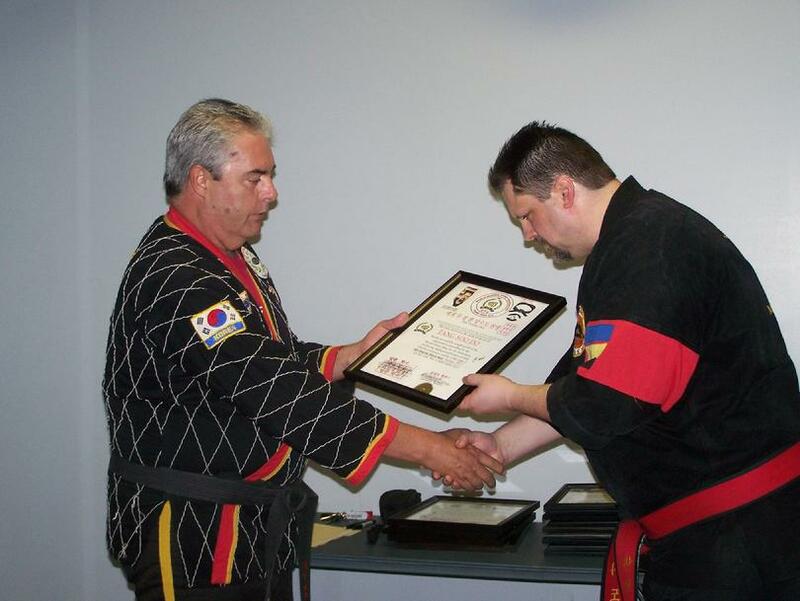 Mr. Hutchings not only earned his 1st Dan in Tang Soo Do under Master Grissom but was appointed Northwest Regional Director for the International SaJa Tang Soo Do Association. 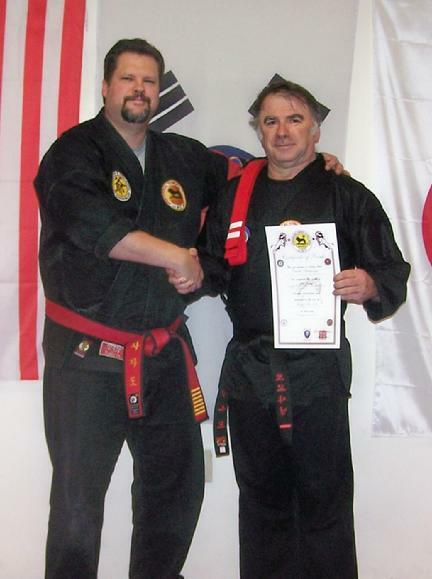 Congratulations to Robert Reynolds of Colorado on his appointment to 1st Dan Blackbelt in Shim Soo Gum Do. 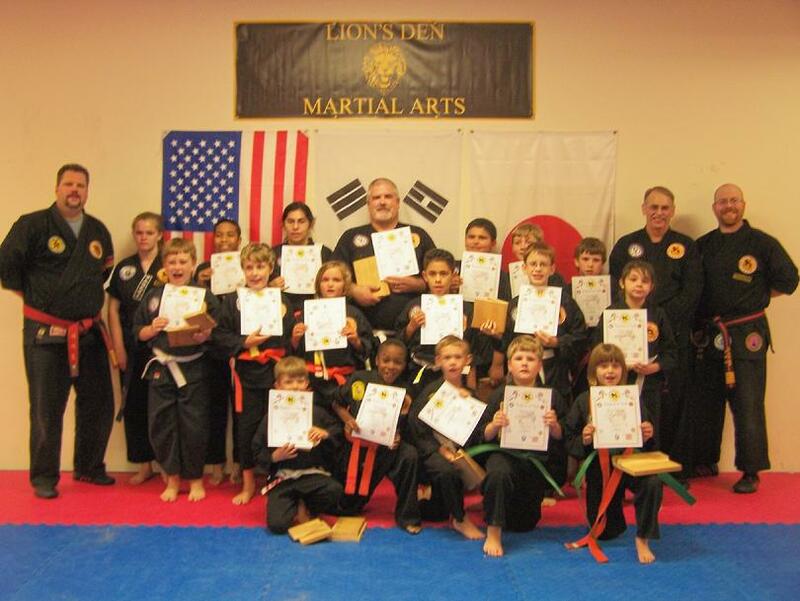 Master Reynolds is not only a student of Lion's Den Martial Arts but he is also a Charter Member and West Region Director for the International Combat SaJaDo Union, International SaJa Tang Soo Do Association and the World Shim Soo Gum Do Federation.